So this is my first post. And it’s not about crochet. This’ll be the ‘bit beyond’, then. The 18th April is World Heritage Day and the theme this year is “The Cultural Heritage of Water”. Smashing. In amongst the event-packed bank-holiday weekend planned here at Saltaire, there will be plenty of opportunities to learn more about the canals that were the lifeblood of the village, bringing fuel and alpaca bales to the mill. 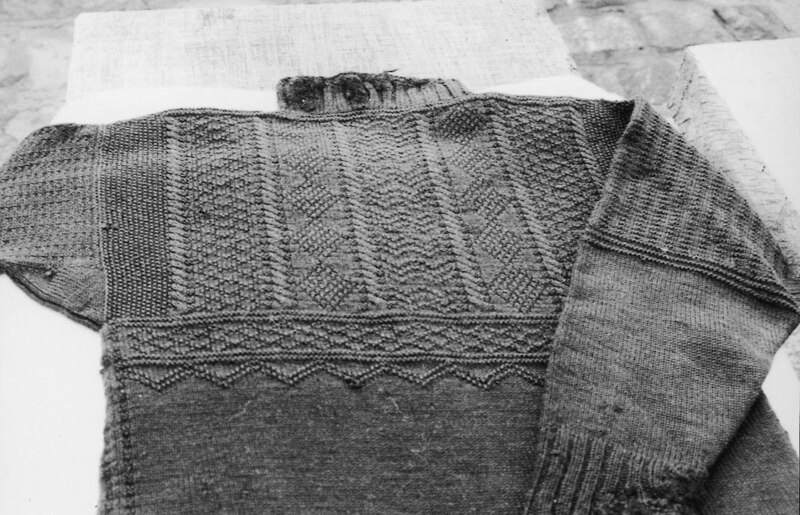 An item of clothing no well-dressed canalman would be without was a jumper known as a gansey. Knitted from an oiled woollen yarn, they were warm as well as shower-proof. They were decorated with a panel specific to a canal, similar to a seaman’s guernsey where patterns were unique to an area or even to a family, and for a rather gruesome reason. Should someone drown and not be found in a recognisable state, the pattern at least gave a clue where its wearer was from. This pattern for the Leeds-Liverpool gansey is kindly provided by Mike Clarke and is based on an original (above) now in the National Waterways Museum in Gloucester. It is something I would love to have a crack at, but I’ve seen the light and now only crochet. If you have a go do let me know how you get on, I’m sure Mike would be interested too. 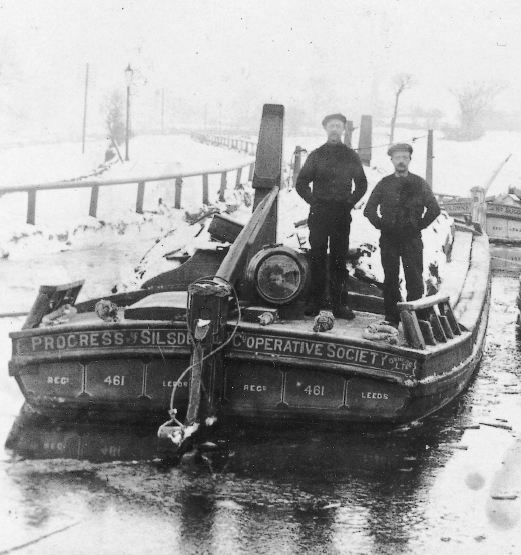 A coalboat trapped in ice at Five Rise Locks. The boatmen are wearing ganseys.